Private and personalised Madrid experience with a specially handpicked Host. 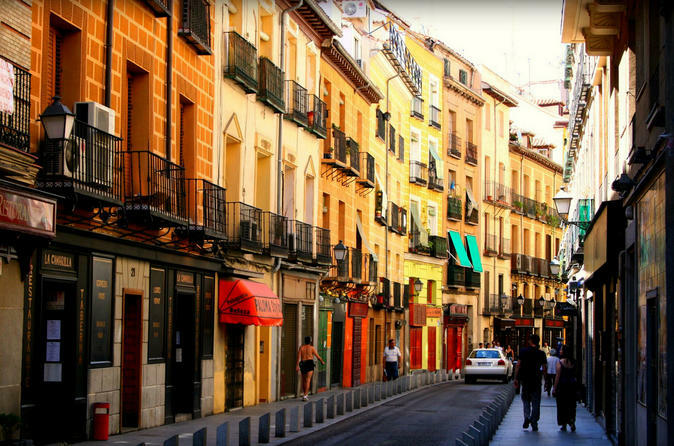 If you want to get a little off the beaten path in Madrid and experience life like a local, there’s no better barrio to start in than La Latina! As one of Madrid’s most buzzing neighbourhoods, you'll love exploring this characteristic barrio that's packed full of local colour, and there’s plenty to discover - if you know where to look. Go beyond the tourist sites and see Madrid through the eyes of the locals who are lucky enough to live in this vibrant area! If you’re visiting Madrid and want to experience life like a local, check out one of the locals' favourite barrios: La Latina with a Host handpicked to suit you, your needs and preferences. This characteristic neighbourhood is Madrid at its best; think tapas, cold beer and evenings spent with friends on a packed out terrace in one of Madrid’s leafy squares. But there’s more to this barrio in the network of narrow streets that lie beyond the main plazas, so with your hand-picked Host by your side you'll be shown La Latina's best spots and discover where to eat, drink and relax! This spirited neighbourhood might be central, but if you know where to look, the area’s unique, vibrant and buzzing character is easily discovered, so what better place to start? Join your Host and let them show you around, to discover the shops, restaurants and bars that are a well loved, and well worn, part of local life here!